I think that's the attitude that got him to JUCO. Also the attitude that got Cardale Jones a national championship and drafted. Got to keep the car. Nice! Said he needed a rental car. He said he needs a rental car now with a facepalm emoji. Hahah Bama took it back. That's funny. Or he wrecked it. But yeah bama definitely gave it to him originally. I suspect they lease those cars to those players. So when he's not going to go back to Bama, they terminate the lease. Well sh!$, what do we give out? Dodge Darts?!? Lol someone get that man a brand new charger. I've got an extra usb3 fast charger I can send him. I'm Fart_Vol. Call me Fart_Vol. I've heard stories about orange mustangs showing up in driveways here in Memphis during the Majors era. That’s how you do binness there! I’m so confused by this.. did he decommit?? Or is he considered a soft and gonna flip or what? 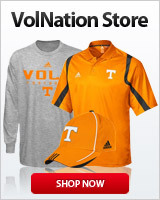 @Geaux_Vols get what does this mean? Committed to the Vols with these others as current offers? Or is this a top list? Sticking to it. If Davis has a committable offer from Bama, he gone.